List of fishes: Apistogramma borellii, Otocinclus sp. Description of decorations: Pieces of wood, branches, leaves, sand and peat. Description of equipment: Filtration: internal filter Aquael Turbo 1000, Light: 4 x 1 W LED modules, 10 W Aquael Retrofit Plant LED lamp 8500K. Water parameters: Temp : 23-25 deg. Celsius ; pH 6.5 ; GH 2°dH , KH 4°dH. Description of the area surrounding the biotope: The Paraguay River is a large river (2550 km), with a lot of oxbows and meanders. The river is located between the vast Chaco and Pantanal wetland. From its headwaters in the Brazilian state of Mato Grosso, the Paraguay River, flows through Pantanal, the world’s biggest wetland. The river marks the border between Paraguay on the west and Brazil on the east. In the northern section, the Paraguay River flows in sweeping meanders and forms little oxbow lakes that are lined with forests and clusters of palm trees (Copernica alba). Water level in the Paraguay River depends on rainfalls in the regions that the river flows trough. Generally speaking, water level increases from February to March in the north and from July to August in the south. Along the river banks, various habitats are located: streams, blackwaters, clearwaters, river branches, little oxbow lakes and other. Water in the river is generally shallow. The Paraguay River is very important for people living in the area because of fisheries resources and heavy impact on agriculture. Description of the underwater landscape of the biotope: On the main channel of the Paraguay River, one can find many tributaries, little streams or river branches. The bottom is generally sandy with clay. In many places,a lot of Eichhornia sp. floats on the surface. There are also vast seasonally flooded plains with palm trees underwater and many oxbow lakes with water lighter than in the main river. Water in the river is generally shallow. 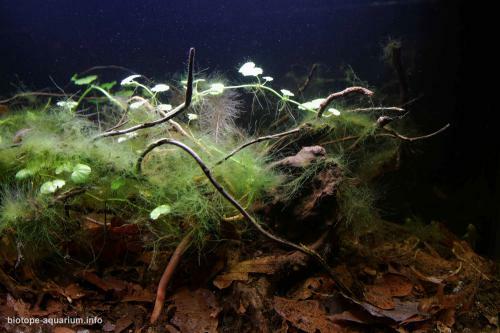 Water plants to be found in the Paraguay River include Eichhornia sp., Echinodorus sp., Hydrocotyle sp., Pistia sp., Cabomba sp. 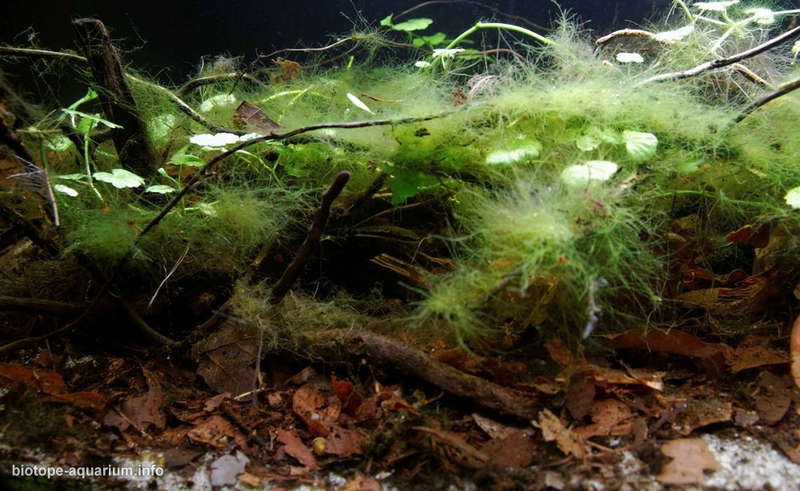 Lemna sp., Salvinia sp., Heteranthera sp. and many more. 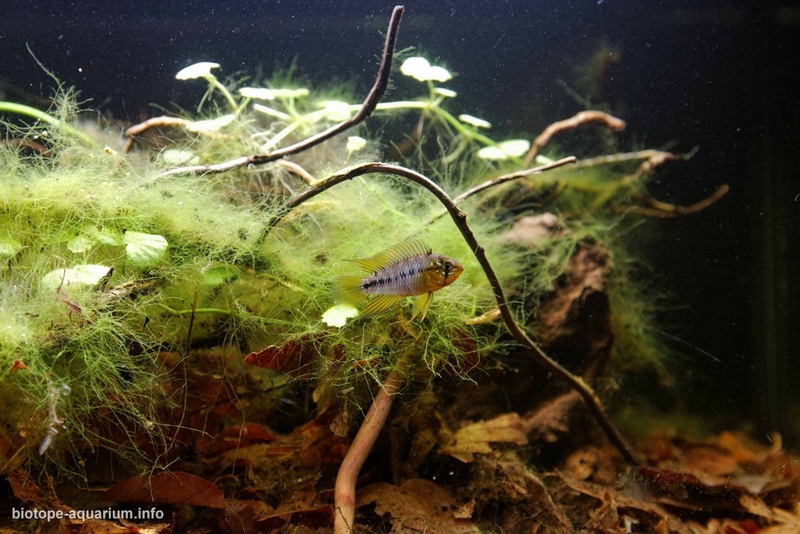 Fish species include Aphyocharax sp., Astynax sp. 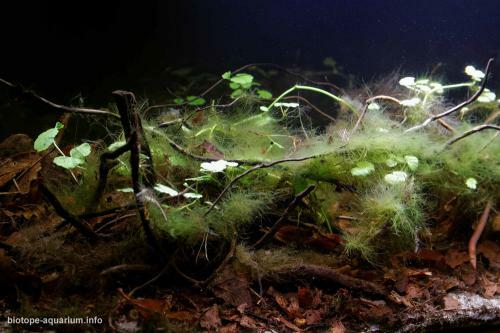 , Hemigrammus sp., Hyphessobrycon sp., Moenkhausia sp., Corydoras sp., Ancistrus sp., Otocinclus sp., Loricaria sp., Apistogramma sp. and many more. Description of the parameters of the habitat: Water in this river is slightly acid (6.0 – 6.5 PH), temperature is 24 – 27 degrees, conductivity is low (60 – 100 us/cm). List of fishes and invertebrates occurring in the nature biotope: Leporinus lacustris, Aphyocharax anisitsi, Aphyocharax dentatus, Astynax paraguayensis, Hemigrammus cf. 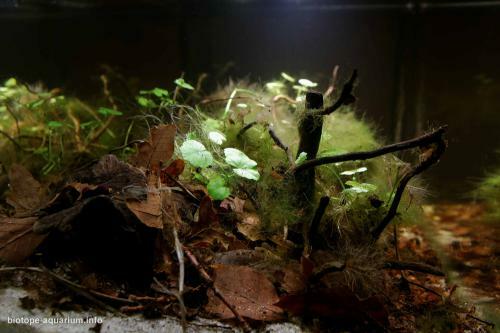 lunatus, Hyphessobrycon eques, Hyphessobrycon maxillaris, Moenkhausia dichroura, Prionobrama paraguayensis, Otocinclus vestitus, Otocinclus vittatus, Apistogramma borelli, Apistogramma combrae, Apistogramma trifasciata, Crenicichla cf. vittata, Bujurquina vittata, Cichlasoma dimerus. List of plants found in the nature biotope: Hydrocotyle leucocephala, Pistia stratiotes, Lemna sp. Eichhornia crassipes, Echinodorus longipetalus, Copernica alba, Cabomba australis, Egeria sp., Eleocharis elegans, Ludwigia helminthorrhiza, Salvinia natans, Heteranthera multiflora.